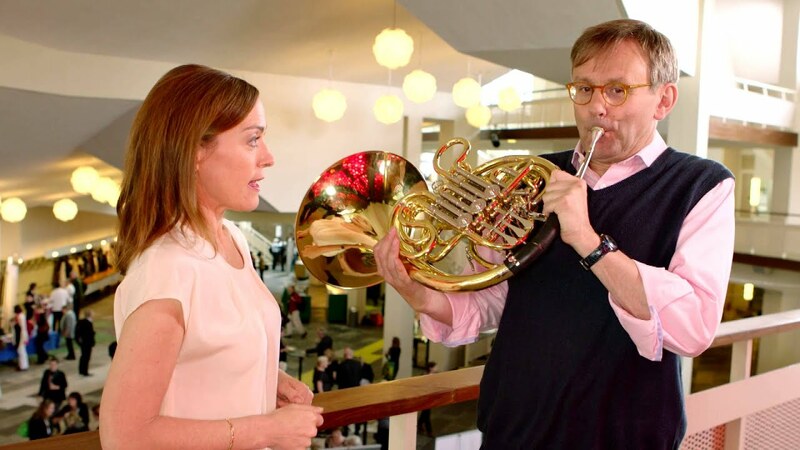 The Sarah´s Music team turned up bright and early on a Sunday morning at the Berlin Philharmonie and, after filming my introduction in the empty hall, the doors opened and we were nearly trampled by 1300 excited amateur singers streaming in clutching their Verdi scores and trying to find their seats! Welcome to ‘Singing Is For Everyone’! I started to get nervous. There is a good reason why I became a horn player and not a singer! Nonetheless, it was very exciting to be part of this huge choir singing the Verdi Requiem – and I assumed that noone would be able to hear me anyway, not as one of 1300 voices. How wrong I was! Simon Halsey came in and you could tell immediately by the applause and ripples of anticipation how loved he is. He did some singing warm-ups with us then took us straight into the first movement which involves a lot of quiet singing. I found this really difficult – and do admit to miming some of the high notes – but loved singing the loud Dies Irae with all my heart! Because everyone was using the same edition of the score (no photocopies were allowed), of course every turned the page at the same time. Sometimes the sound of 1300 people turning a page was louder than the music itself. It made me smile every time. It was incredible to be part of this huge body of people, all using one of the most primitive instruments known to man – the human voice. During the breaks in rehearsal, I talked with the singers about their passion for music and how they include singing in their daily lives. I was very moved by their stories and had tears in my eyes at various times during the concert. 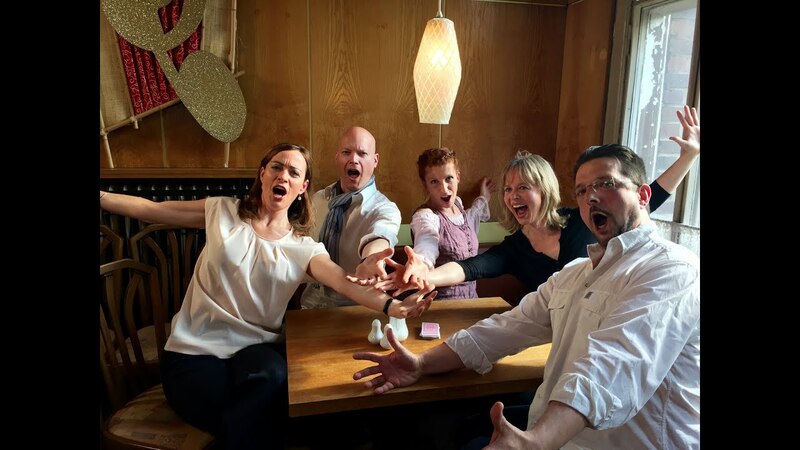 The Rundfunkchor Berlin – the pros – were stunning as usual and it was great to get some insider information about life in a professional choir from Isabelle, Judit, Holger and Axel. What a fun interview that was – see the Outtakes for more! Thanks also to Sabine Germann for all the help and wonderful organizing and to Matthias Heyde for some of these making-of photos. And, last but not at all least, thanks to Simon Halsey. He is simply a gift to the music world – so brilliant and so inspiring. That day with him and the choir was about true music-making and I loved it. I´m signing up for next year, who wants to come and join me?